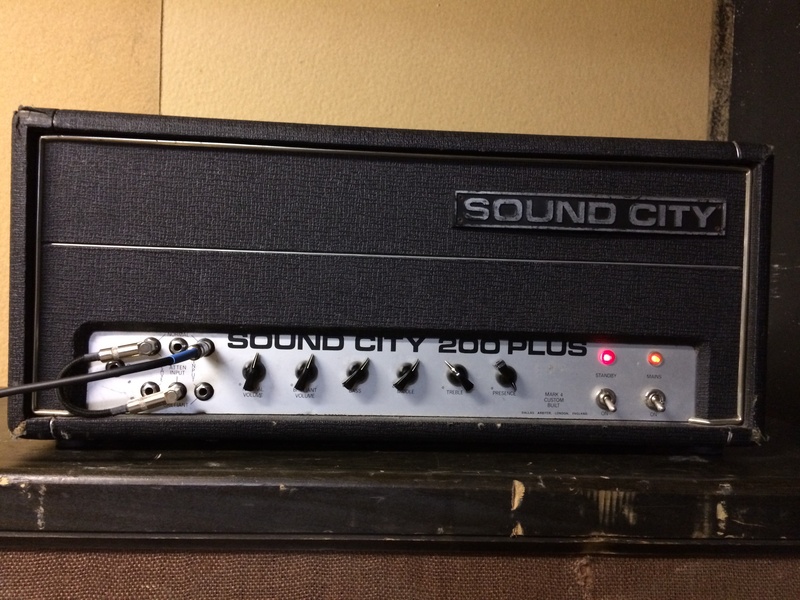 Behemoth Sound City 200 Plus. Huge output section with four KT-88s. There is a Normal channel and a Brilliant channel which can be patched together and blended with their respective volume knobs. Partridge transformers in this one. You can tell because of the yellowish tint in the metal — they have been dipped in some type of lacquer or something. 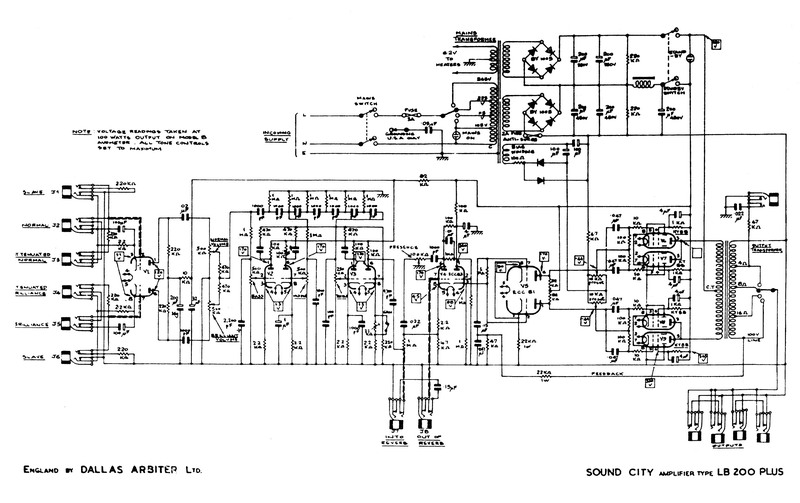 Other Sound City’s came with Electro Voice transformers (not the same as the speaker brand). They are not dipped and maintain their silver metallic look. Otherwise they look almost identical to the Partridge brand. 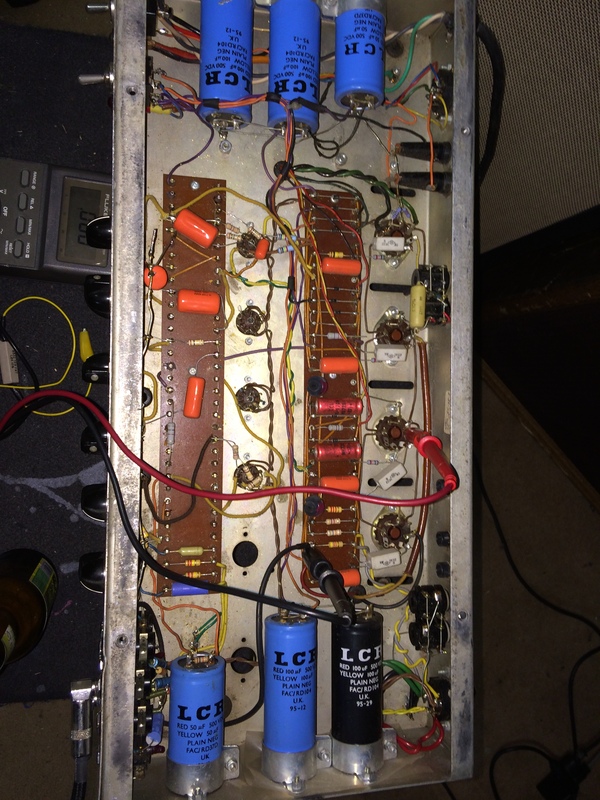 Some clever person along the way has totally gutted the preamp and built a very simple Fender-style one. Notice that of the four 9-pin tube sockets the middle two have no wires going to the pins, except for the heater winding. The tube will light up for your amusement but it’s otherwise not connected to the circuit at all. 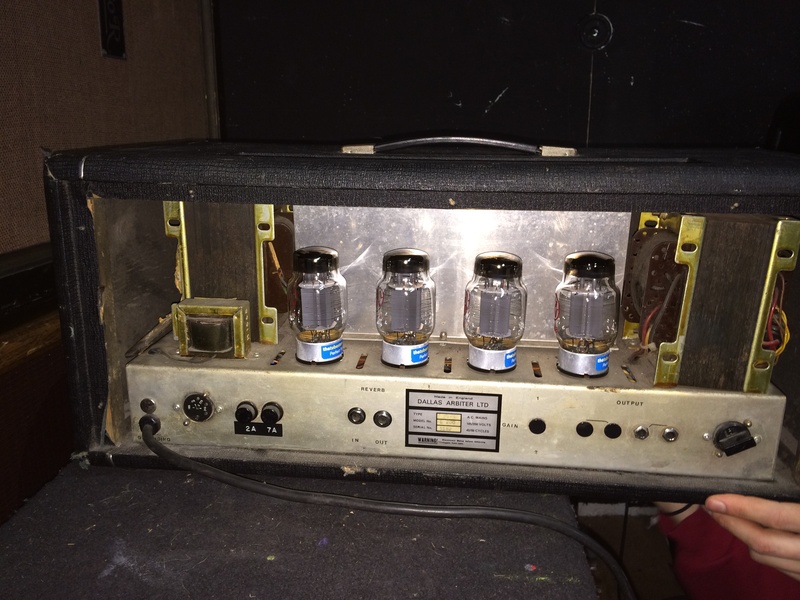 This amp uses a single 12AX7 preamp tube. 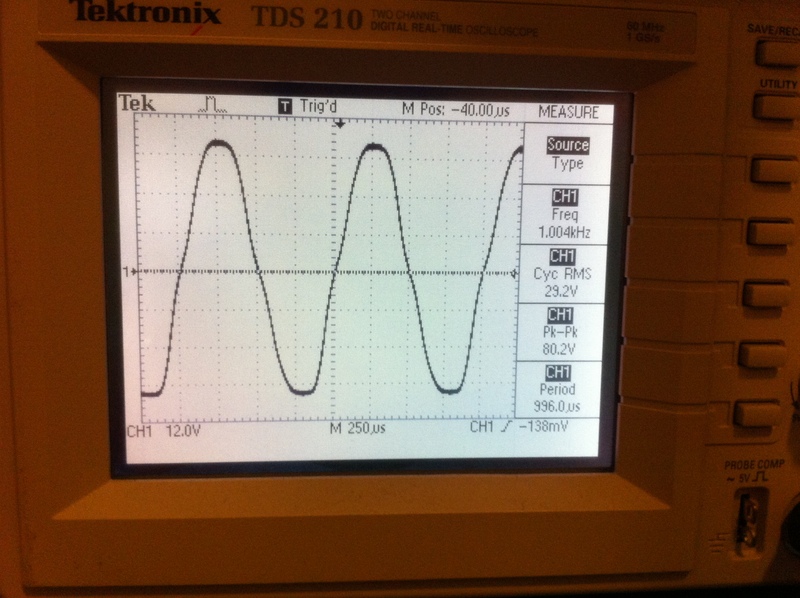 The other 9-pin tube is the phase inverter, which feeds the signal to the output section. Very minimal.